Have you ever thought about taking pictures of your vacation spots directly underwater? We discover the most suitable best underwater camera to carry out this task. Over time, compact cameras have been superseding modern smartphones. This happened due to the increasing photographic performance of mobile devices, which over the years have reached the first unattainable heights. Precisely for this reason, the category of compact cameras has gradually become thinner, except for a particular sector of this market. In fact, compact waterproof cameras thanks to their niche nature, continue to be successful among lovers of extreme sports and diving. In fact, only these products can guarantee excellent performance in such environments. Thinking about this type of users, who need a quality product even in the most extreme situations, we will go to see what is the best underwater camera among those currently available on the market. 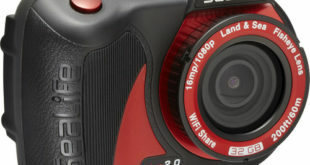 In the category of waterproof cameras, there are various types of products. They range from the rugged, resistant to shock and splashes of water, to that specifically designed for diving. The best thing to do, before discovering the models we want to offer you, is to understand which product you need. If you are considering buying a rugged camera, remember that their water resistance is limited. This means that they can be suitable for the beach days or in the snow, but you will hardly have the possibility to take them back underwater if you love diving. On the other hand, if you buy an underwater camera, you will have the certainty of choosing a perfect model to go down with you in the depths of the sea and maybe capture those moments that you dreamed of for so long. In order not to harm anyone, we will propose models from both categories, allowing you to choose according to your needs. 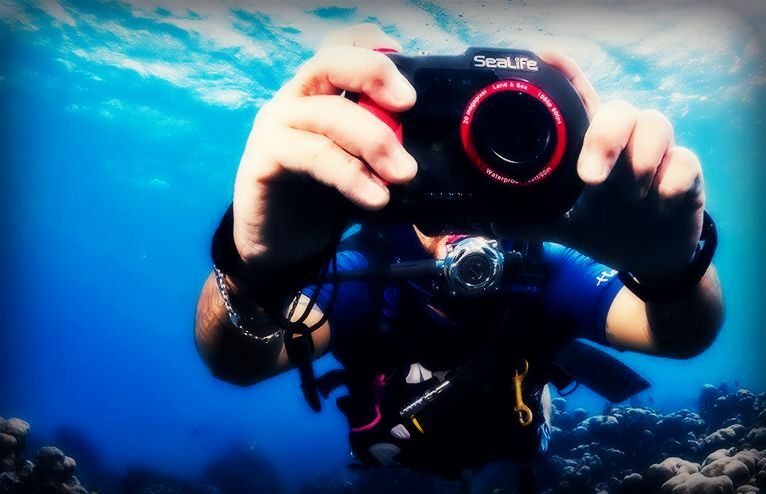 Sealife Micro 2.0 is undoubtedly one of the best compact and waterproof cameras we have found on the web. It hides inside a 16MP sensor produced by Sony, which returns brilliant images and excellent colors. Videos are recorded in Full HD at 60fps. It’s equipped with a fisheye lens, with a 130° angle of view. This compact camera is completely waterproof thanks to the components sealed inside. The 64GB of native storage and the 2350mAh battery are not removable, as has long been the case with smartphones. Thanks to integrated WiFi, you can quickly and easily transfer photos and videos to your Android and iOS devices. The resistance is guaranteed up to 60 meters. 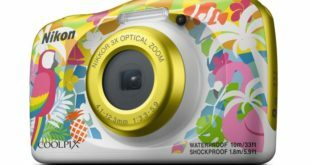 Always remaining among the compact underwater cameras of absolute quality, we meet this model produced by Nikon. With its compact dimensions and access colors, it is an excellent choice for diving enthusiasts thanks to its resistance up to 30 meters. In addition to this, the camera is also resistant to dust, low temperatures, and shocks. Precisely for this reason, it can be considered rugged. The sensor used is 16MP, for quality photos, natural and bright colors. 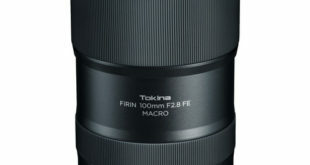 The built-in lens is a wide-angle lens with a 5x optical zoom. However, the most interesting part is that concerning videos, which can be recorded up to 4K resolution, which is not really usual for this type of product. From the point of view of the connectivity, there are both Bluetooth and WiFi. Even Olympus has decided to jump into the world of compact underwater cameras with this Stylus TG-5. Compared to the previous models, the depth at which it is possible to reach, which is equal to 15 meters. However, this is more than a good value, especially when compared to the quality of the photos that you can take with this product. In addition to the waterproof body, this camera is resistant to shocks, dust, and temperatures up to -10°. The sensor used is 12MP CMOS with backlit. 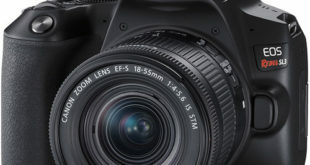 The lens mounted instead has a 4x optical zoom, while the connectivity is high level, with the presence of WiFi and GPS. Slightly less performing than previous models, this compact camera from Fujifilm is perfect for those who do not want to give up the fun in all conditions without spending too much money. The sensor used in this case is a 16MP CMOS type, combined with a 5x optical zoom. The resistance to liquids has a maximum limit of 120 minutes at 20 meters, not the maximum of the category but still an excellent result. In addition to this detail, the camera also withstands shocks, dust and particularly cold temperatures. Videos can be recorded at Full HD resolution and thanks to the presence of an interval timer it is possible to capture time lapse. High-level connectivity, which sees both the presence of Bluetooth and WiFi. For those looking for an extremely compact underwater camera that is also affordable, we would suggest this model of Panasonic which is perfect for amateurs. Colorful and with a really interesting design, it mounts a 16MP sensor that integrates an image stabilizer that works beautifully. The depth at which it is possible to arrive in this case drops only to 8 meters, more than enough however for those who do not dive in deep and occasional waters. The lens used is wide-angle, with 4x zoom and LUMIX DC VARIO optics. It is certainly not a top of the range product but still defends itself well in amateur use. Then we conclude this interesting article on the best underwater camera and leaving you with the list of the best-selling models on Amazon. ◀Dual Recharger Batteries + Mounting Accessories Kits▶Increased Long Battery Life up to 180 minutes (Dual Rechargeable Lithium Batteries) shooting time.Come along with tons of free accessories. multifunctional accessories enable you to mount your camera to helmet, bicycles, wrist, etc. the kits are available for go pro camera.